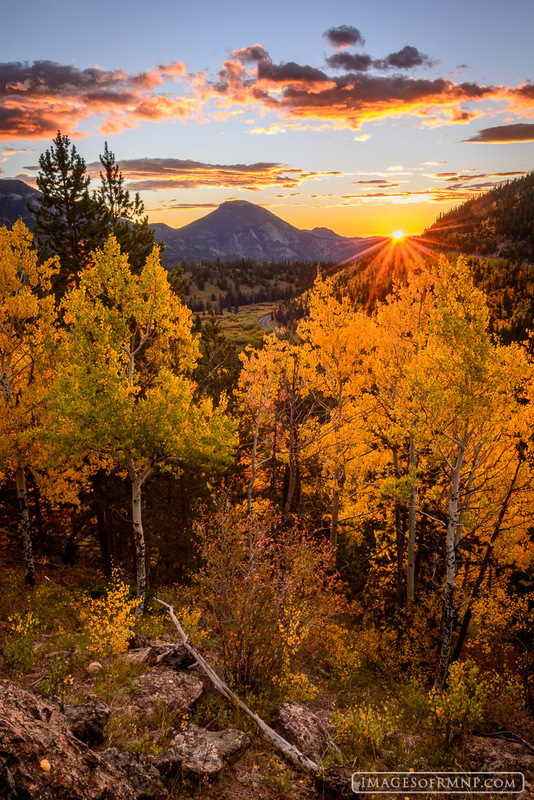 As the rising sun crests the ridgeline, the golden aspen leaves glow brightly welcoming this new day in Rocky Mountain National Park. Such a scene reminds us that though the dark of night may obscure the world for awhile, the gilded rays of dawn bathe all things in light and reveal a deep truth: beauty has been here all along. Photo © copyright by Erik Stensland.